Paris is one of my favourite cities! I’m so in love with its museums, French cuisine and the vibe the city has. I’m quite lucky Paris it’s only three hours away with a train from Amsterdam. So, I’m there quite often. However, I was recently for the first time in Paris on a solo trip. It was a mix of a business and pleasure, so I had enough time to enjoy in my short trip. Well, here is my travel diary with things I did during my three days in Paris. I woke up really early and have caught an early train from Amsterdam that was departing around 7 AM. I was in Paris already at 10 AM and had the whole day to explore the city. It was a rainy grey Monday morning and I felt like I was the only person in the city. 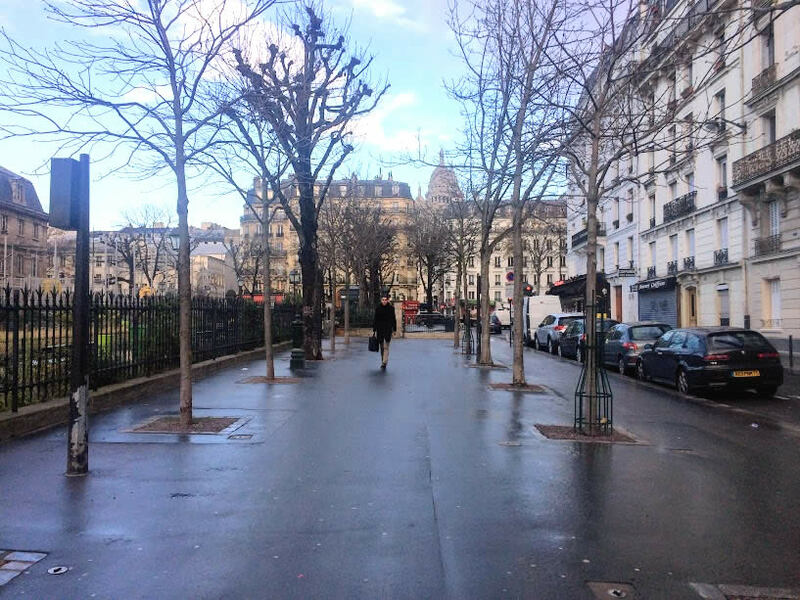 Paris is always packed with tourists, but this time its streets were almost empty. I had a feeling like I travelled to some different time, when it was only the city of Parisians and a few travellers. And I was one of those travellers… Explorers… Having the city only for myself. *Are you visiting Paris for the first time? Read my beginners guide to Paris on a link here! 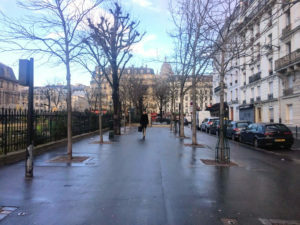 I took a walk from the Jardin du Luxembourg where my hotel was located towards the Seine River, Louvre and Palais Garnier. I read Christina Henry de Tessan’s book ‘Forever Paris’ before my trip. 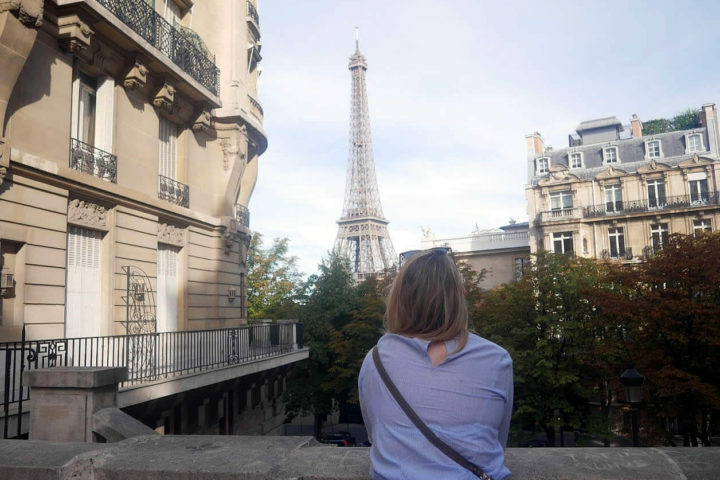 She has created a little self guided tours around Paris through which she’s following the footsteps of some famous people that used to live in Paris. I decided to follow the life of Coco Chanel. I’ve started my walk at the Opera Garnier and have continued walking through the neighbourhood. I’ve passed next to the first Chanel store, one of the apartments she used to live at and a place where she used to come for her morning coffee. There is something special in reading about someone’s life and walking along the streets where that person lived. Somehow, I could almost see her rushing through the small side streets from her apartment to the office with some new fashion drawings under her arm. 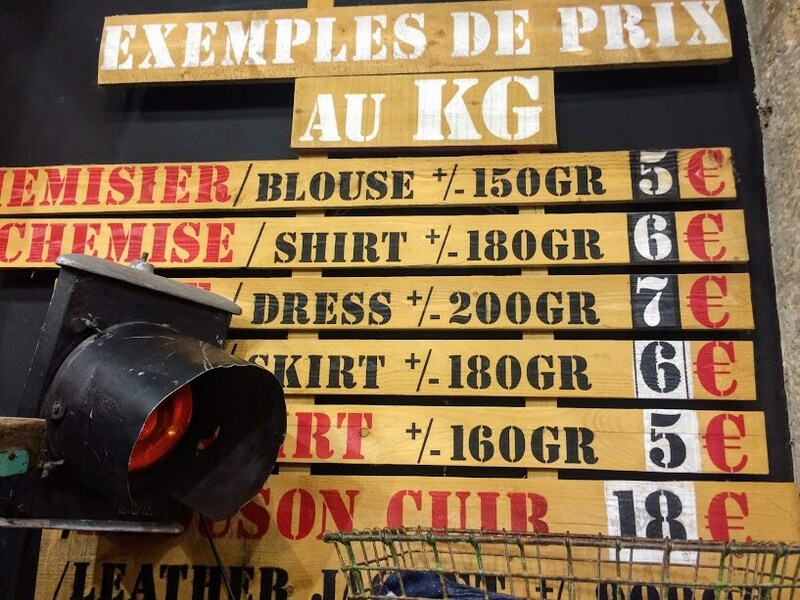 It was a day I have reserved for immersing into Parisian fashion. I had a nice and delicious lunch in one of the restaurants with a view on the Opera Garnier. 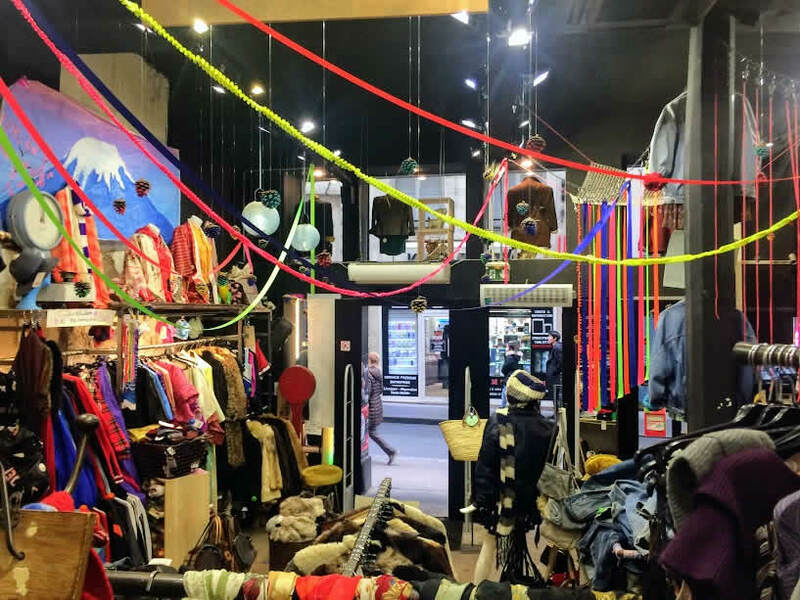 And decided to spend my afternoon by exploring some of the famous vintage shops in Marais neighbourhood. I’ve never spent much time in this area and it was such a pleasant surprise for me. I just loved its picturesque streets filled with small cute stores, caffes and restaurants. The whole area has such a cool alternative vibe. There is a lot of street art in the area and I just loved spotting it all around me. I didn’t had enough time to join some of the street art tours this time, but would definitely like to do that on one of my trips to Paris in a future. Marais is well known for some of the best vintage stores in Paris. You never know what you’re going to find in them – Dior earrings or some other gem from 1980s. 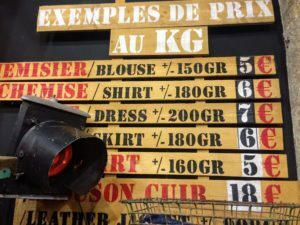 Well, I wasn’t so lucky… But, I definitely enjoyed visiting them, checking the clothes they have and talking with other shoppers (some of the coolest people I’ve met in Paris). I was feeling a bit sick that day, so I went back to my hotel early. I got myself a nice cup of hot tea and went to sleep. *Check out my post about exploring Paris like a local for more ideas about things to do and see in Marais. When I woke up the next morning, I was feeling much better. So, after a breakfast in a restaurant close to my hotel, I was ready for some sightseeing again. Day two was reserved for learning more about and exploring the French Impressionism in Paris. It’s one of my favourite painting styles and I am just overall in love with that time, bohemian lifestyle and the culture at the end of the 19th Century. *Learn more about Impressionist in Paris on a link here. 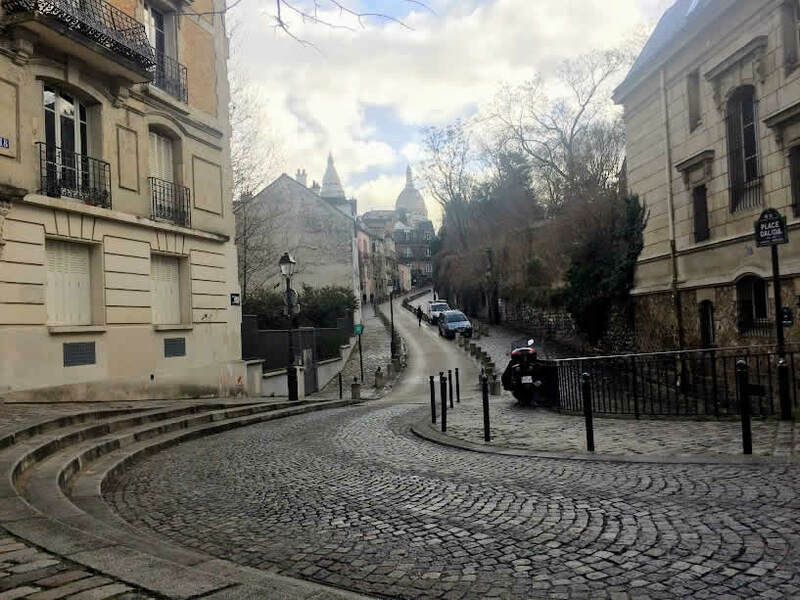 I decided to take a tour around the Montmartre neighbourhood and learn more about the Impressionist painters that used to live and work there. 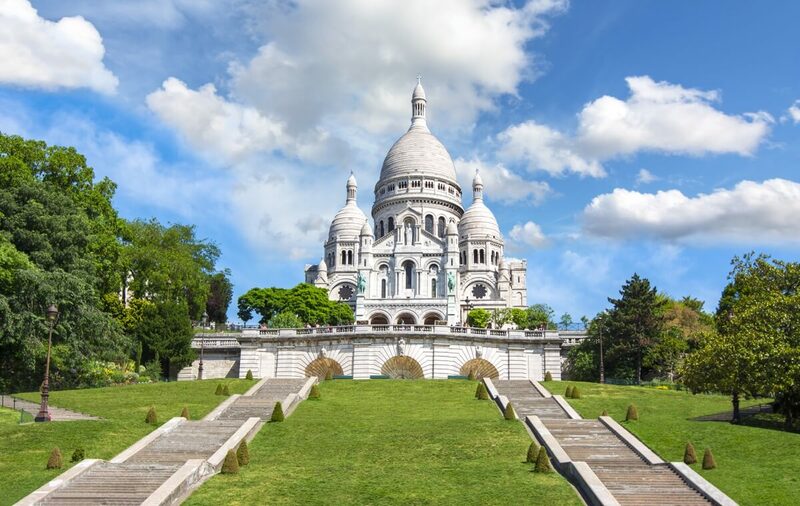 I’ve met my guide below the Sacré-Coeur Church and we went to Montmartre where he showed me some of the places that were important for the Impressionist movement in Paris. When we left the most popular area of Montmartre behind us, some streets and houses still looked the same as they did at the end of the 19th Century. I could almost imagine carriages strolling through those streets and music coming from the small cabarets. The most special place for me was the house where Vincent and Theo van Gogh lived together, during the two years Vincent spent in Paris. The painting Van Gogh painted while looking through the window of that apartment is displayed in his museum in Amsterdam. I know the painting so well, and once standing there, the place almost felt familiar to me. After a short break and some tarte tatin, I’ve continued to the Musée d’Orsay. That’s THE museum to go if you want to see some of the most famous modern paintings. And it’s a home to one of the best Impressionists’ collections in Paris. Building in which the museum is located, is a piece of art and history itself. It was built as a train station at the end of the 19th Century and later on converted to the museum. It has that amazing combination of an industrial architecture and a modern art collection. And that works really well! *TIP: To avoid queueing in front of the museum and waiting to get in, buy your ticket for the Musée d’Orsay online (here is the link). I’ve got a recommendation from my guide for a nice little restaurant close to the Musée d’Orsay, called Les Antiquires. After a delicious lunch there, I went to another museum with one of the best collections of Impressionists’ paintings in Paris – Musée Marmottan Monet. I visited it a few years ago on a student trip with my University. And wanted to come back ever since. This is one of my favourite museums in Paris. It has a beautiful collection of one of the best female Impressionists – Berthe Morisot. And the largest collection of the works of Claude Monet. It’s not a busy museum, so there is a lot of space to enjoy in some of the masterpieces of Impressionism in peace and quite. I’m always wondering why everyone are rushing to see Mona Lisa when in Paris, while there are so many beautiful museum around the city, like this one. *Check out some of the best museums in Paris in my blog post on a link here. My last day in Paris started with one of the best breakfasts and the most amazing coffees I have ever had in my life. I had a breakfast at Carette close to Trocadero. I think I have definitely found my new favourite place in Paris. Since I was in Paris many times already, I know the city quite well. However, there was a part I was always kind of missing – the Modernist Paris. It played an important part in shaping the city – Art Nouveau metro entrances and Eiffel Tower are just the most famous examples of the time. 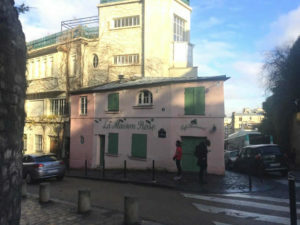 So, I decided to join a walking tour called the ‘Modernist Architecture‘ around the 16th arrondissement, organised by Context Travel, to learn something about it. During the tour we saw some of the modernist buildings, learnt about the movement and have visited Foundation Le Corbusier and the modern architecture exhibition in the Palais de Chaillot. It was so interesting for me to see how the Modernist movement shaped the way we are living today. *Read my post about the Modern Architecture in Paris on a link here. After the tour and a quick lunch it was a time to catch a train back to Amsterdam. My three days in Paris were dedicated to art, mostly Impressionism and the modern architecture. I also tried to learn more about some of its former famous citizens like Monet, Renoir, Cezanne and Coco Chanel. However, once again I have realized how travelling solo isn’t bad at all. And that French are some of the nicest people out there. And how they really know how to cook well and enjoy the life. Well, maybe my next visit should be dedicated to learn how to enjoy the life like a Parisian. Au revior! Until the next time, my dear city! The cuisine photos in this blog attract me a lot. Thanks for sharing the three days trips in paris.